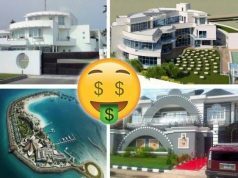 Expensive houses owned by footballers: Football or soccer as you may like to call it, is a game loved by many across the world. It brings so much joy and passion. 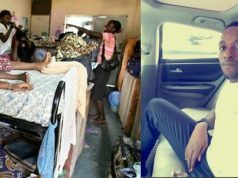 As a result of the popularity the game has, most footballers are rich and live a luxurious lifestyle. World football stars earn so much from huge salaries and merchandise. Therefore they can’t be blamed for owning some of the most expensive houses in the world. Do you know the house Gareth Bale is living in belongs to Kaka?.. 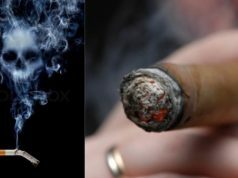 yes it does. 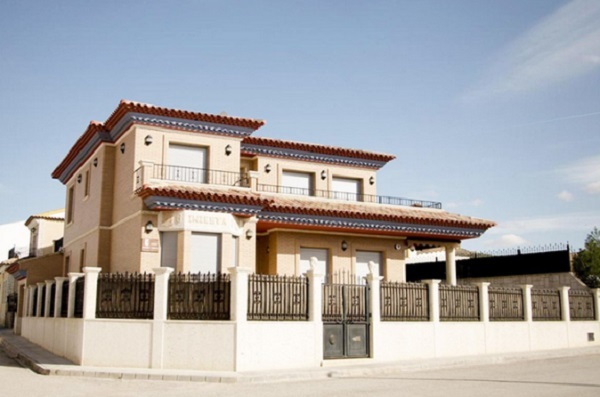 The 1,500 sq ft home in Madrid has a gym, an indoor pool and a six-car garage. He purchased the luxurious house when he was transferred to Real Madrid from AC Milan.Gareth Bale rent it for $16,000 a monthly. The Barcelona Superstar’s house has a pool and a Roman Catholic chapel right inside the houses. We all know how religious Iniesta is. Mario Balotelli does not live in this $4.86 home anymore. It includes a pool, a private theater, a wine cellar, a putting green and four bedrooms and bathrooms. With his all his wealth, most people would have been disappointed if Cristiano Ronaldo wasn’t live in a multi million dollar house. This Real Madrid superstar’s mansion in Madrid includes a sauna, a private theater, a gym, a pool and an aquarium. Ronaldo bought this mansion in 2008. 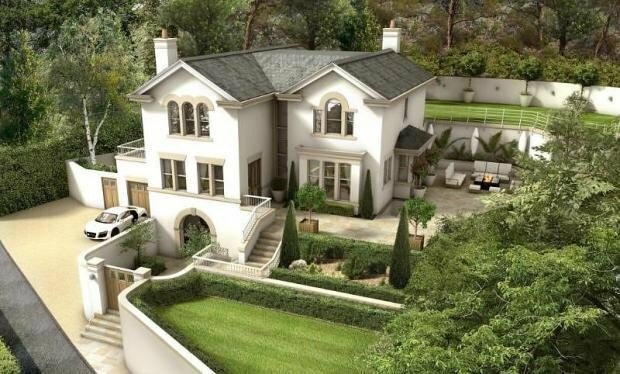 John Terry bought the former home of golfer Colin Montgomerie for £4.35m ($7 million) after selling his nine-bedroom mansion, and his original house in Oxshott, Surrey. Terry has a penchant for making money by selling his homes. 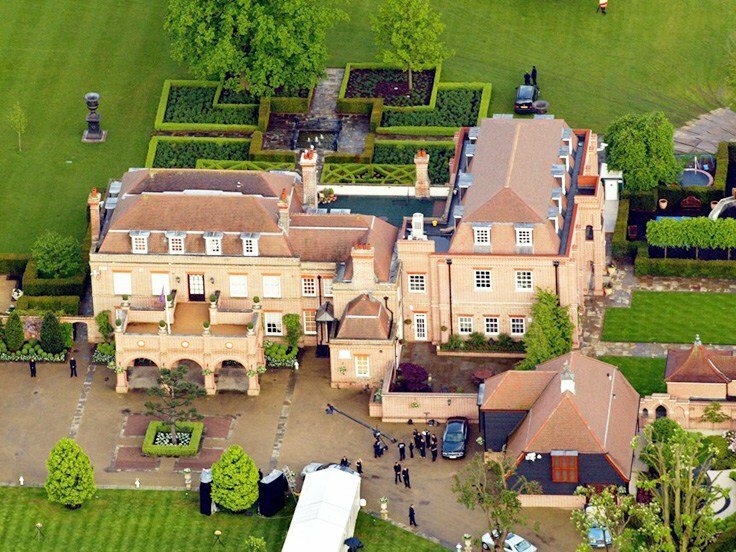 He sold one of his mansions in Surrey last year to Sultan bin Mohammed al-Naamani. 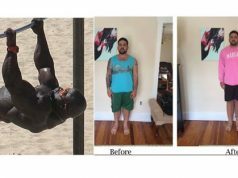 He made a profit of around $16.3 from this sale. 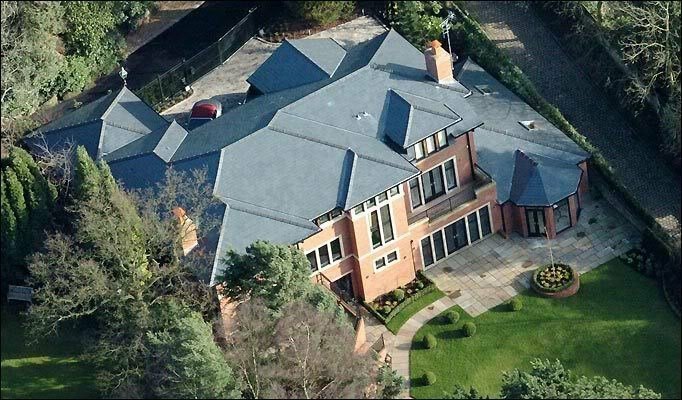 Frank Lampard put on sale his 19,500 sq ft home for £7m ($10.5 million). It is one of the two that he owned while he was still playing at Stamford Bridge. It features nine bedrooms, twelve bathrooms, a putting green, a swimming pool, a boat dock and a tennis court. 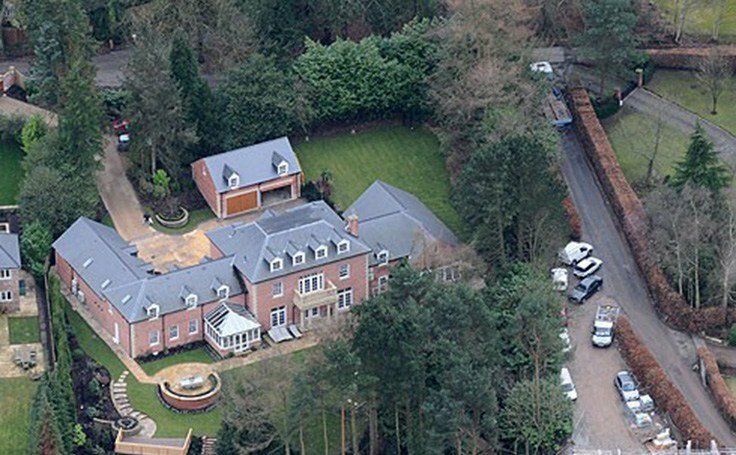 Rooney’s neo-Georgian mansion was built in 2004. It has a private theater, a huge pool, Grecian-style statues and undersoil heating for the lawn. With a £50,000 garden landscaped. One of the additions was a £30,000 state-of-the-art security CCTV system to stop peeping toms leering in. Even though David Beckham is retired, he is a rich and powerful celebrity. 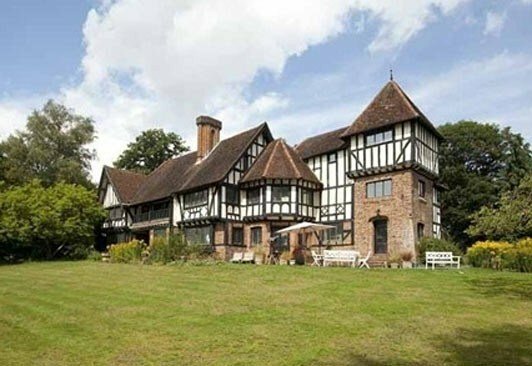 Nicknamed Beckingham Palace, he bought this home in 1999. It has a chapel, a recording studio and a football pitch. 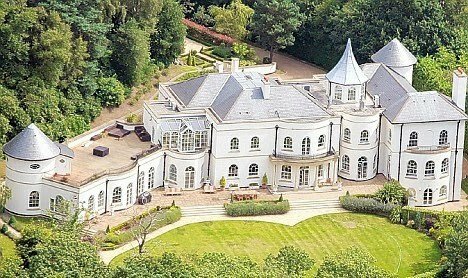 Drogba live in a spectacular mansion that has eight bathrooms, seven bedrooms and a trophy room with a price tag of £14.5 million. It is around 8,600 sq ft. Simply amazing! 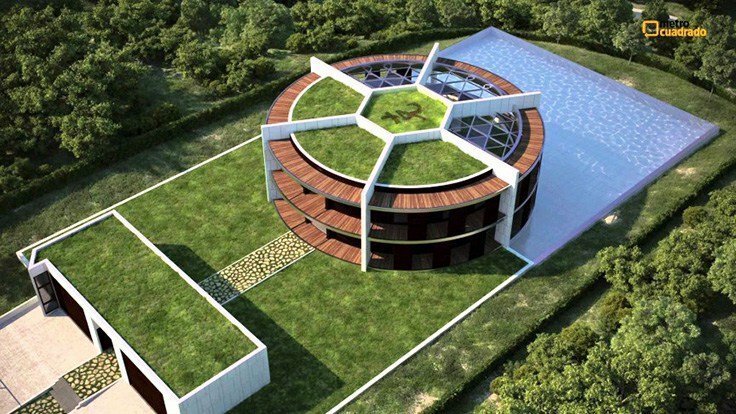 Considered as the best footballer in recent times, Lionel Messi own one of the amazing houses in the world. 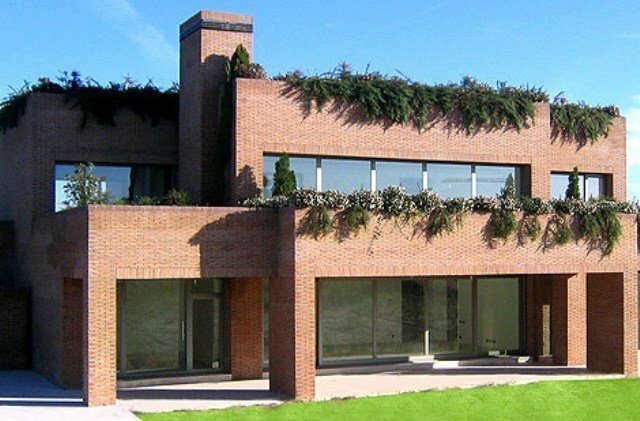 The Barcelona forward’s house has a private theater in the house, a spa, as well as a football pitch.